The World Bank predicts that Cambodia’s economic recovery from the global financial crisis would continue in the immediate term, with GDP growing by 4% in 2010 before growth accelerates to 6% in 2011. In its report, which addressed the recovery status of the world’s developing countries, the organization stated that Cambodia’s recovery will hinge on the country’s ability to integrate its industries into regional production networks and to further develop its human capital. Mr Chan Sophal, head of the Cambodia Economic Association strongly agreed with the first point. Mr Sophal noted that, until the country develops domestic processing facilities to refine its agricultural production, it will be vital that the government help farmers by making it easier to transport their crops to countries with processing capacity. The Japanese Business Association has brought a team of 30 delegates to Cambodia to explore potential investment and trade opportunities in the country. Meeting with Prime Minister Hun Sen, the association emphasized that the stability of the Kingdom makes it a conducive economic environment in which investment can flourish. The countries have a history of doing business with each other, as evidenced by trade between the two reaching $255m in 2009. Now, both sides are keen to promote more private investment from Japan. Experts have highlighted the country’s growing petroleum exploration and extraction industry as a logical sector to attract Japanese input, especially as Japanese firms recently linked with US petroleum heavyweight Chevron, which maintains a presence in the country. Prime Minister Hun Sen announced that, fuelled by increasing hydropower facilities, Cambodia would meet its electricity requirements by 2013. Citing three Chinese-financed hydro plants – in Kompong Speu, Kampot and on the Pursat River – the Prime Minister stated that the new capacity would result in self-sufficiency and lower cost of power. The latter is essentially assured, as the facilities have agreed to sell power to the national grid for less than the currently prevailing prices. The limited amount of electric power available outside the capital and the high price it commands throughout the nation – considerably higher than in neighbouring countries – are both cited as significant hurdles to the country achieving greater economic performance. The new facilities, therefore, have the potential to significantly aid both Cambodia’s economic output and its attractiveness to investors. The Council for the Development of Cambodia has endorsed the construction of a new airport for Siem Reap. Believing that a bigger airport could increase Siem Reap’s tourism draw, the CDC has given its seal of approval to the proposal to construct a $1 billion dollar build-own-operate airport. The proposal was submitted by NSIA Company, a joint venture between Camco Airport Co. and Lees A&A Co, both Korean firms. The project, which would result in a new airport located 60 km from Siem Reap town, was hailed by the CDC and State Secretariat of Civil Aviation as a platform for new jobs and enhanced economic growth. It now awaits approval by Prime Minister Hun Sen.
With tens of thousands of garment factory workers taking themselves off the job over a salary dispute, the government acted to stem further damage to the reputation of the sector – Cambodia’s largest source of export income and a critical driver of the country’s recent high economic growth. Fearing negative investor responses – such as, in the worst case, relocation to other countries – the Minister for Social Affairs ordered the strikes over and commanded that labour and management convene an extraordinary session to discuss a possible salary supplement for workers. The head of the Cambodian Labour Confederation, the union representing the workers, said that the workers were pleased that the government had intervened, and look forward to the 27 September meetings with the management representatives. Gold Tower construction suspension explained – What does it mean for Cambodian Real Estate sector? 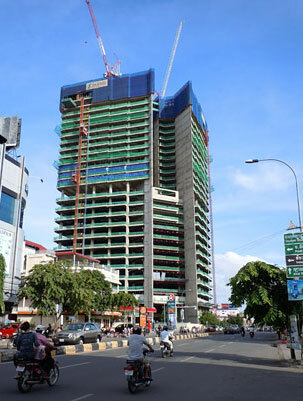 A Korean Government-ordered restructuring exercise of construction outfit Hanil E&C is the reason why construction activities on Gold Tower 42, the 42-level skyscraper that is set to be Phnom Penh’s tallest structure, were halted this week. 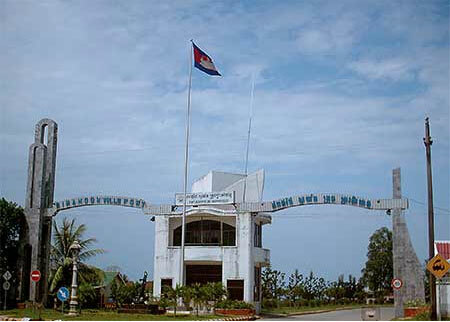 Yon Woo, the project’s Korea-based developer, explained that the suspension of construction activities was unrelated to any doubts about the current and future shape of the Cambodian economy or property market, and that building efforts will resume once the construction firm has concluded the officially mandated audit process. Saying it had every confidence in the abilities of its construction partner, Yon Woo noted that the delay should not materially alter the completion date. The company added that the project has recently received additional funds from buyers and that roughly half the tower’s luxury residential apartments have been sold. The strike of garment factory workers continued yesterday, marking the second day the important sector has been hobbled by striking workers. Although the union representing the workers, the Cambodian Labour Association (CLA) and the GMAC, the trade group representing the owners (the Garment Manufacturers Association of Cambodia), differed on the number of workers on strike (145,000 for the union, versus 20,000 by the GMAC), all sides agreed that the action will significantly impact the sector. The garment sector accounts for the great majority of the nation’s export income.The issue, which centres on the level of minimum wage workers receive, is scheduled to run 5 days. Experts say that if it is not quickly resolved, it will certainly harm the nation’s attractiveness to global investors. Radio Free Asia reported on Sept 12, 2010 that construction of Gold Tower 42 in the heart of Phnom Penh has been postponed. No supervisor or manager of Gold Tower 42, which has achieved a height of 31 levels, was reachable to explain the reason for the cessation of construction activities. The USD240 million project was initiated January 2008, with completion originally scheduled for 2012. Project owner Yon Woo Co, of Korea, has stated that 60% of the tower project has been sold, with purchasers coming from Cambodia, Korea, China, and the UK, among other countries. According to UNWTO World Tourism Barometer’s August Interim Update, international tourist arrivals increased by 7% for the first half of this year. The growth is led by Asia Pacific with 14%. Cambodia tourist arrivals are up 12%. Asian countries such as Sri Lanka (49%), Japan (36%), Vietnam (35%) and Myanmar (35%) registered strong results, propelling Asia to become the second-most visited region in the world. The positive growth rates, together with the improving global economy, suggest that year-end results may exceed UNWTO’s forecast of 3% to 4%. CBRE notes that stakeholders in the national railway rehabilitation program, including JICA, AusAID, the ADB and JV concessionaire Toll Royal Railway, have reached agreement on the issue of whether the new railway will have access to the expanded Sihanoukville Autonomous Port. 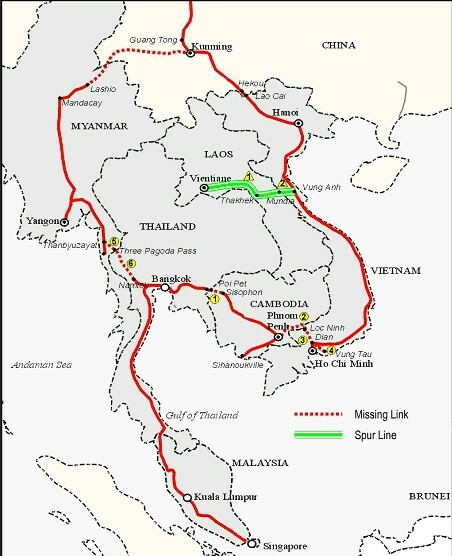 Their effective agreement to build a new railway terminal at the port is a significant positive step for the nation’s economy, facilitating as it will the easy movement of export goods – both manufactured and agricultural – from Cambodia’s interior to the country’s main conduit to international markets. Cargo levels at Sihanoukville Autonomous Port rose 15% in the first eight months of 2010, compared to the same period last year, with imports increasing 13% and exports 23%. The growth is further evidence that the Cambodian economy is enjoying a return to vibrancy, even as trading partners in Europe and North America continue to grapple with the financial crisis. CB Richard Ellis has seen plans for the Mekong Rail project which will link Singapore with Kunming. The investment project covers Singapore, Malaysia, Thailand, Cambodia, Vietnam, Laos, Myanmar and China. Infrastructure development in the last 10 years in the Mekong region has reached over US$11 billion. Cambodia’s railway network is undergoing a rehabilitation at a cost of $140m (USD). The project is being funded by the ADB and OPEC amongst other donors. The only missing link on the plan is between Phnom Penh and Ho Chi Minh City (Saigon), the projected cost of the link is $1.09bn. 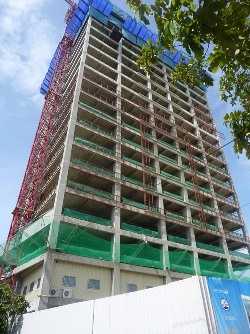 Hyundai Amco have constructed up to the 17th floor of the 22 floor Phnom Penh Tower. 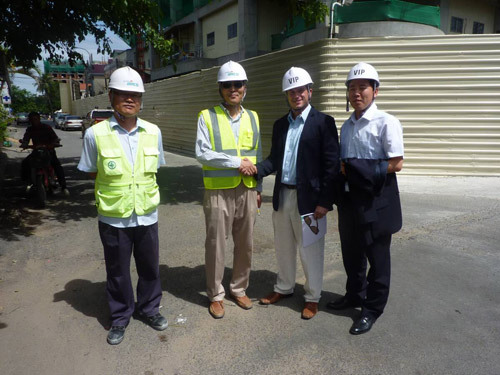 The building will offer whole and split floor office space, located on Monivong Blvd with 150 car parking spaces. Completion is set for May 2011. The Cambodian Ministry of Commerce has reported that 121 foreign businesses registered to become Cambodian businesses in July 2010. This is an increase of 25% on the same month last year. A further 218 domestic firms registered as new businesses in a sign that the Cambodian economy is recovering and re-shaping itself as we approach 2011. 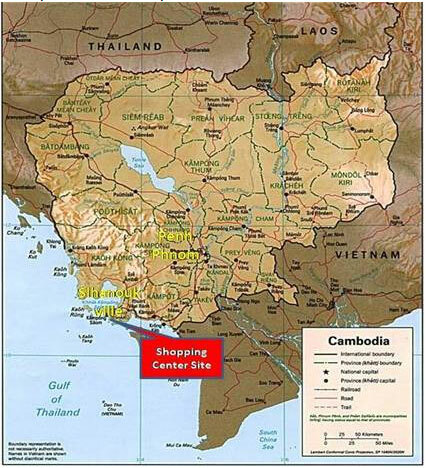 CB Richard Ellis have been appointed sales agents for GS (Korea) for a 6.8Ha site in Phnom Penh. 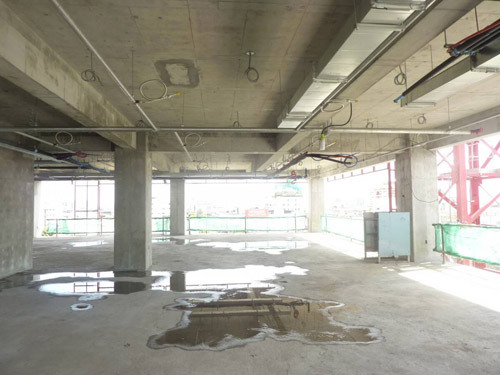 The site is filled and ready for construction, with a wide ranging permission for a number of uses including hotel, retail, residential and office to a height of 52 storeys. The site is one of the best land plots available in Phnom Penh, next to the soon to be launched Sofitel and Diamond Island project.